One of the things I've been able to do as I've been recovering from bronchitis is catch up on some online shopping and stocking some new materials. I made the decision to invest in some higher quality, more expensive, gemstones. I wanted to know how I could be sure of what I was purchasing when there are some misleading trade names and vendors that may not ask as many questions of their supplier as they should. Maybe you're stronger than I am, but when faced with the decision to invest my whole budget on these or let them go ... they needed to be mine! I have SO many ideas for these! 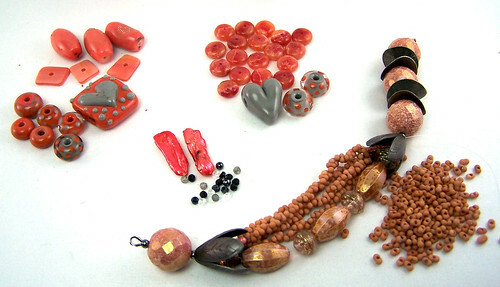 The problem with some of these gemstones is that they look SO perfect it can be hard to trust that they're real. Certainly, there's a chance that they're manmade rather than natural. I wanted to be sure, however, that what was labeled as sapphire wasn't garnet, or something labeled quartz wasn't actually glass. As I was looking up the properties of different gemstones and looking at forums discussing how to identify real gemstones I came across a property of gems called specific gravity. The idea of specific gravity comes from Ancient Greece. The mathematician and inventor Archimedes was asked to confirm whether a newly made crown was really made of gold. This resulted in the infamous Eureka! moment when he realized, when immersing himself into one of the public baths, that he could determine the composition of an object by weighing it then determing the amount of water the object displaced. 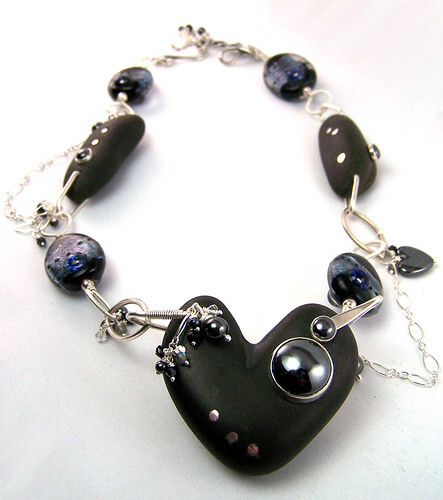 Every gemstone has a known specific gravity. Taken along with easily observable characteristics like color, dichroism (if color depends on the angle you look at the stone), and luster, measuring specific gravity can help you confirm the identity of a gemstone sample. 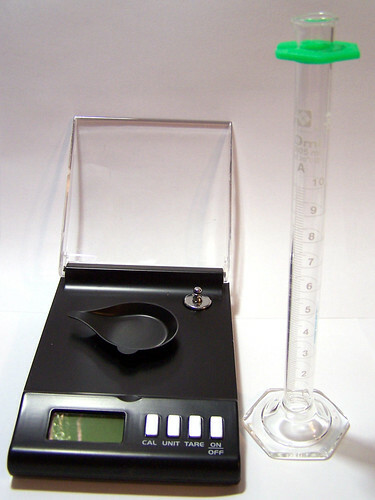 There are several methods of finding the specific gravity of gemstones. I did a Google search and found some more complex than others. When in doubt I like to turn to the Ganoksin Project website. Singing the praises of the Ganoksin Project, established by Charles Lewton-Brain, could take a whole series of blog posts. 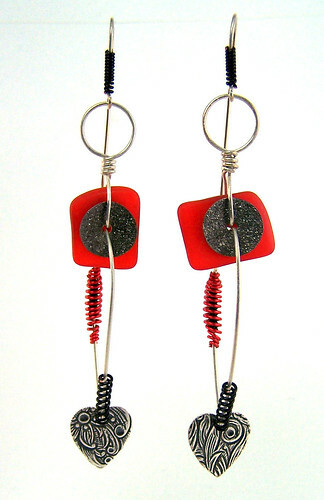 I'll encourage you, if you haven't already, to go see for yourself what an amazing resource it is for jewelry artists. It turns out that there is a fairly simple and inexpensive method you can use(under "Other Balance Methods"). 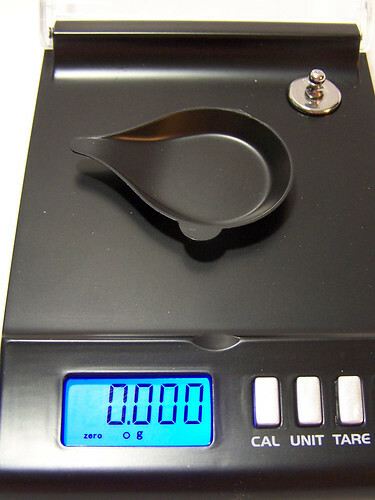 My miligram digital scale and graduated cylinder. The links for these exact items are above (for which I am not being compensated). 1. Turn on your scale, make sure the pan is in place and, if it isn't already, make sure the scale is zeroed. If not, and the scale reads some positive or negative number, push the button that says "zero" or "tare," which will reset the scale. 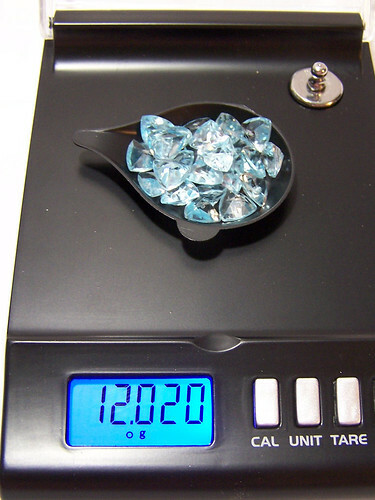 Carefully place the gemstones into the weighing pan and record the weight of the stones in grams. The digital milligram scale on and zeroed. That 'O' to the left of 'g' means that the scale has settled and is ready for the gems. 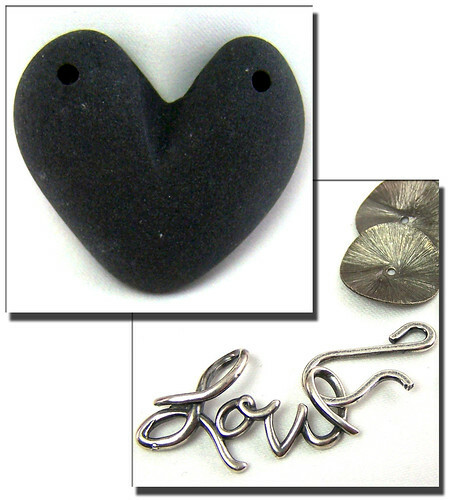 The weight of my gemstones is 12.020 grams. While it takes a moment to reappear, the 'O' to the left of 'g' now means that the scale has settled and you can record the reading. The third decimal place on the scale represents milligrams. 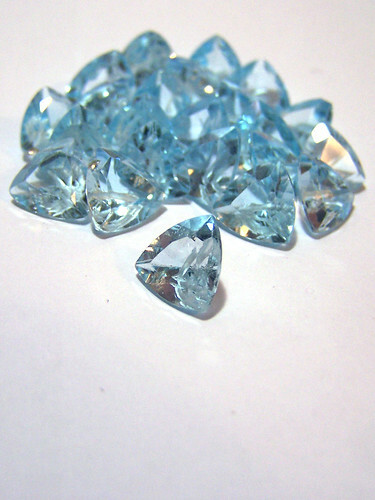 Fun Fact: there are five carats in a gram. 2. Set the scale and gems aside. You are now ready for your distilled water and graduated cylinder. 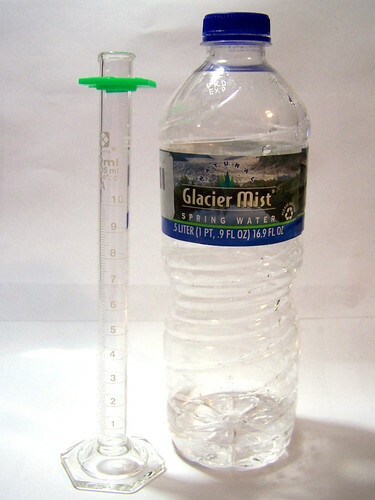 Carefully pour about 5ml of water into the cylinder. Take care not to get any water on the sides that may drop down and change the water volume. We need to be as precise as possible with our readings of the measurements to get results that are as accurate as possible. My graduated cylinder and water. The green thing on top of the cylinder is to protect the glass should the graduated cylinder tip over, so keep it there and keep it at the top. This is the volume of water I actually poured. 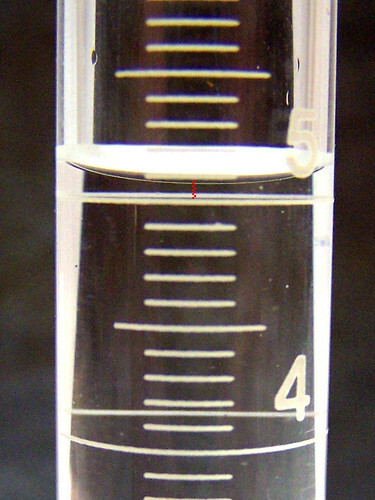 The graduated cylinder is marked to tenths (0.1) of a milliliter (mL), but we can (and should) guestimate to the hundredths place. 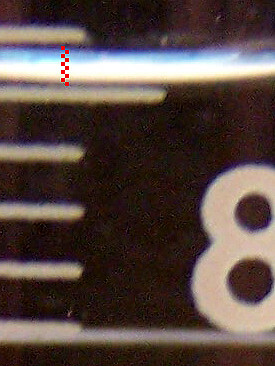 Using photoshop I found that ten 4-pixel squares conveniently filled the space between the tenth-of-a-milliliter lines. 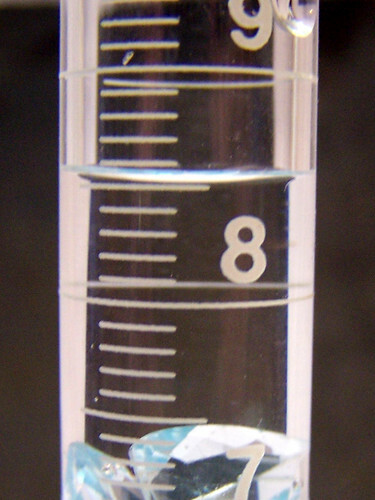 To properly read the measurement you'll need to get your eyes down to water level. If the water level is near a whole number, look for the line in the front of the cylinder to merge with the line in the back, as if it were one line; that will tell you you're at the right level. Reading at the bottom of the meniscus (the concave curvature of the water), we see that the water level is approximately two-hundredths less than 5.10mL, so our water reading is then 5.08mL. 3. Carefully place the gems, one at a time, into the water as to minimize splashing. 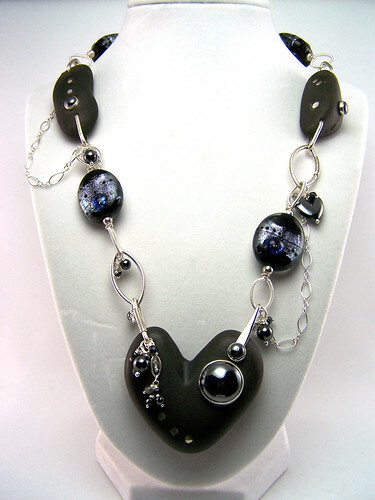 As each gemstone falls the water will begin to push the air out of any bead holes that are present. Carefully tap the glass to help those bubbles escape. 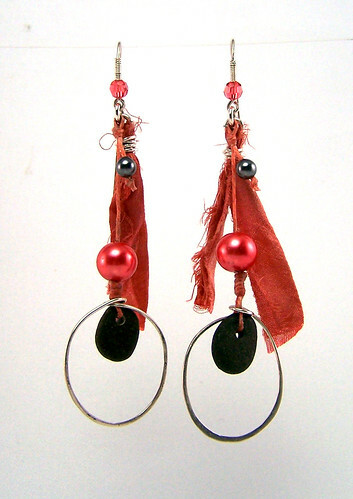 If they are still too small, drop in another gemstone. Often the air from another gem will add to the first and it will be enough for the bubble to rise. The picture above demonstrates why we don't just want to dump them all in. 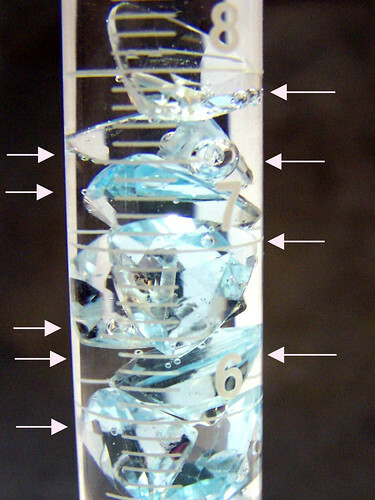 The air bubbles get trapped under the gems and creates a falsely high water volume reading because there's now a lot of little air bubbles where there should only be water. As I mentioned above, we do need to be as careful as possible using this method because there's more room for error using this method than other methods, but it's significantly less expensive. Make your own judgement, but I think the care is worth it. 4. Once the gemstones are in, the bubbles are all out, and the water has settled, take a reading of the new water volume. If the water level is between whole numbers it will be harder to tell if your eyes are at the right level for reading the measurement. If, like in this example, the water is between two whole numbers, I like to get at a height so the elliptical shapes of the upper and lower numbers are the same; that's a pretty good way of telling you're right in between. I was very pleased with these results. Anyone want to take a guess what I bought? It may seem like you're imagining it, but I'm here. No, really. Well, most likely, anyway. The upper respiratory infection that took hold after the Bead Bash has evolved into a lingering case of acute bronchitis. The wheeze emanating from my lungs is almost musical. Gross. 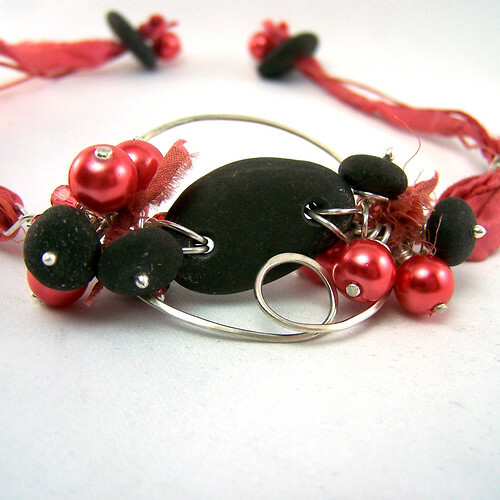 Despite that, I've been working on finishing up my reveal for the Bead Soup Blog Party. 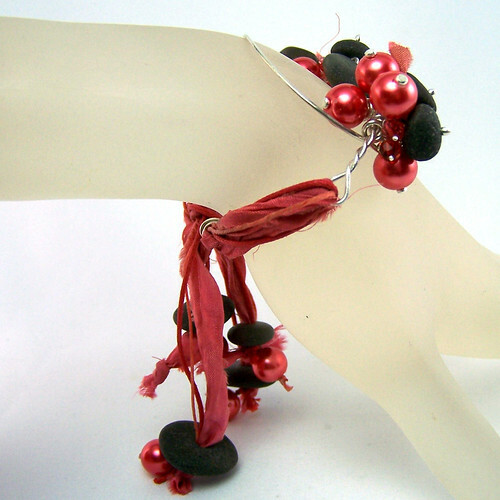 I'm pleased that the deadline has been pushed back a week because it gave me some time to order some new dichro to make beads that are a better color fit for the design of my main piece. Look for the reveal here on April 13th. Last Tuesday evening I had a class with Jean Campbell, of Beadwork and Interweave fame, about creating project proposals for magazine articles and books, which was fun and really informative. That day I wrote up a blog draft about the crazy dreams I had the night before, which I may have to post as a retrospective, which I thought stemmed from the fact that a) I was miserably sick, b) that I had three competing plans for who would be watching my son and how he'd get there while I was at the class, but wouln't know until just before the class which one would work, and c) a long history of I-have-a-final-exam-for-WHAT-class-? dreams that have haunted me since college. 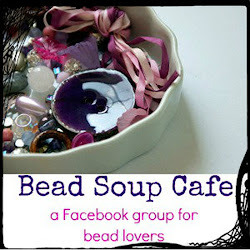 I'll be sure to post more about that class once I clear my Bead Soup from my table. The Sunday before that we had both sides of the family up for Sawyer's 4th birthday party. Normally the motto, "the only thing I hate worse than a dirty house is cleaning," applies to me pretty well, so there was a lot of housework to be done for that. It was great to see everyone, though, and Sawyer had a lot of fun. 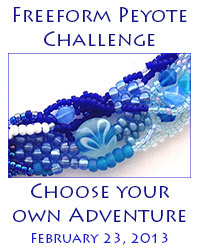 I have two lampworking classes scheduled at The Studio at Rush Creek in Maple Grove, MN this Saturday, April 6th. 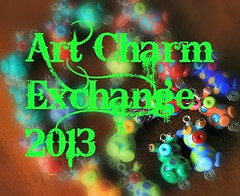 They're pretty inexpensive, so in you're looking for something to do, want to learn about lampworking, want to brush up on the basics, or learn about more advanced, layered and pressed focals, check those out! Oh! 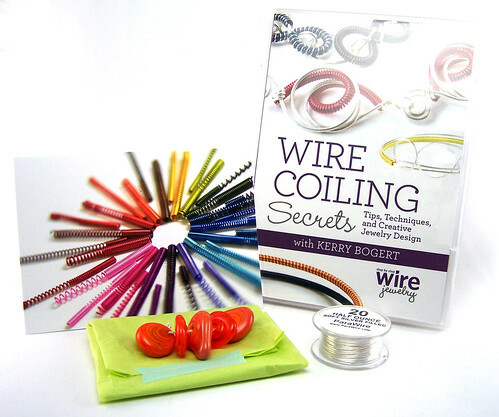 And this week I also got the prize I won from Kerry Bogert from the Art Bead Scene drawing from the beginning of March: a copy of her newest video on coiling, some of her lampwork beads, and a spool of silver filled wire. I'll post about that in more detail later, but it was all pretty amazing. Thank you, again, Kerry!